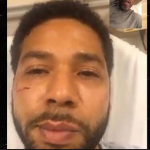 It looks like Jussie Smollett is going to get a mere slap on the wrist for allegedly lying to police and manufacturing a fake hate crime against himself to libel half the country as evil racists. Cook County State’s Attorney’s Office said Wednesday evening. hate crime are not facing any charges.